Sandusky History: Mr. and Mrs. Jacob Greenfelder, Jr.
Jacob Greenfelder, Jr. was born in Sandusky, Ohio in 1851, shortly after his parents, Mr. and Mrs. Jacob Greenfelder, Sr., emigrated from Bavaria to the United States. Jacob, Jr. worked for many years as a traveling sales agent for the Kuebeler Brewery (pictured below). He was a charter member of the Western Reserve Lodge No. 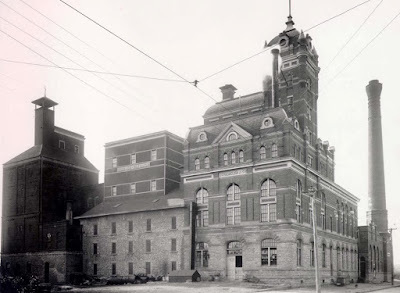 128, Knights of Pythias. 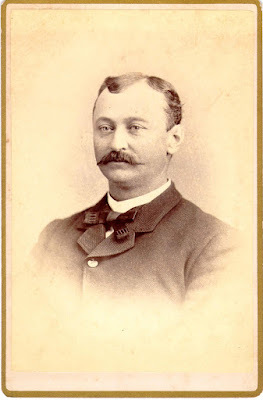 In 1874 Jacob Greenfelder,Jr. married Henrietta Lange, the daugher of well known Sandusky druggist, F.R. Lange. Dr. Ernst von Schulenberg was the officiating minister. 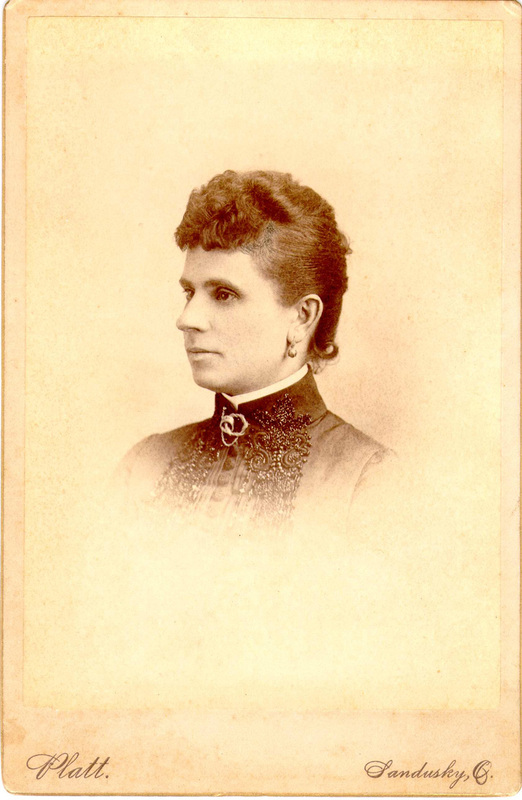 Henrietta Lange, often known as “Aunt Hattie,” was born in Sandusky in 1854, to F.R. and Emilie Lange. Henrietta’s mother died when she was young. In the early 1890s, Henrietta Lange Greenfelder and Mrs. William Altstaetter co-founded the German Ladies’ Sewing Circle, later known as the United Ladies’ Sewing Circle. The ladies met weekly. Members sewed bedding for local hospitals, and made charitable contributions for those in need in the community, especially women and children. Though she had moved to Cincinnati by 1916, Mrs. Greenfelder came back to Sandusky when the United Ladies’ Sewing Circle celebrated their twenty-fifth anniversary. An article in the January 26, 1916 issue of the Sandusky Star Journal reported that “many burdens have been lightened and hearts made glad” by the work and thoughtfulness of the members of the United Ladies’ Sewing Circle. Mr. and Mrs. Jacob Greenfelder, Jr. moved to Cincinnati in 1897, where the both died in 1925; they were buried in Spring Grove Cemetery. Many friends and family still living in Sandusky mourned their loss.